Early American Documents, Rare Books, Manuscripts | Skinner | Skinner Inc. The auction kicks off with over 50 lots of important documents, featuring interesting items from early American history. 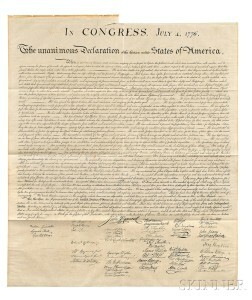 An early copy of the Declaration of Independence (Lot 14, Estimated from $18,000 to $20,000), also known as the Force Declaration, is a folio broadside printed thanks to the foresight of John Quincy Adams. In 1820, fearing for the preservation of the original Declaration of Independence, Adams commissioned the engraver William J. Stone to create a full-size facsimile. After an initial print run, Peter Force purchased the plate. Skinner sold a Force Declaration for $22,800 in November 2013. 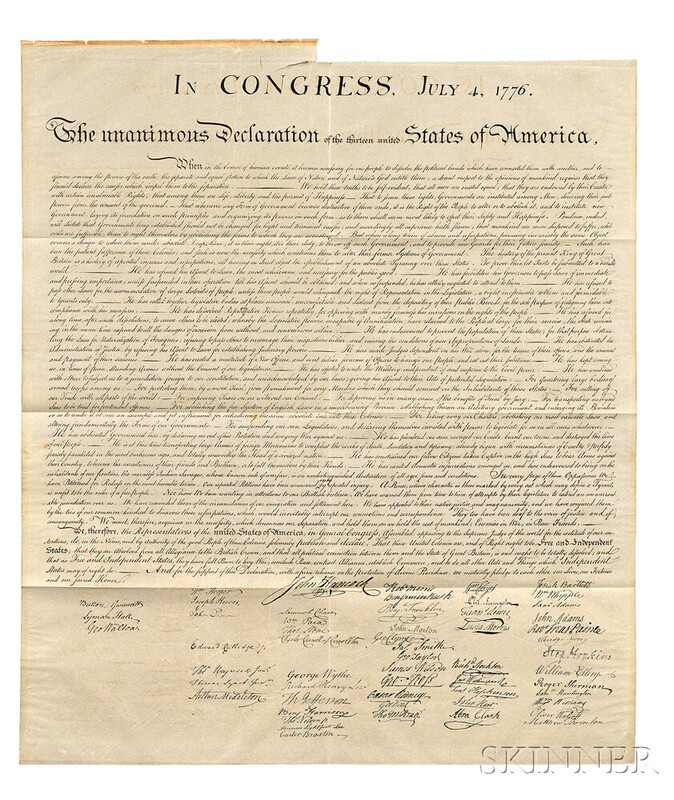 Another important moment in American history is captured in a printed version of Thomas Jefferson’s inaugural speech (Lot 28, Estimate $4,000 to $6,000). John Brown, a militant abolitionist, was hanged in 1859. While he was in jail awaiting trial, he wrote a thank-you note to Edward Harris, a Rhode Island man who had contributed $100 to the abolitionist cause. The note and check are included in the auction (Lot 6, Estimate $30,000 to $50,000). The notorious American figure Lee Harvey Oswald is also represented (Lot 42, Estimate $30,000 to $35,000). He sent a letter in January of 1962 to John Connally Jr. Oswald mistakenly thought Connally was Secretary of the Navy, when in fact he was governor of Texas. Coincidentally, Connally was also shot (and survived) on the fateful day of John F. Kennedy’s assassination in 1963. The selection of documents at auction also includes items signed by Ernest Shackleton, Rockwell Kent, Amelia Earhart, Arthur Conan Doyle, and Sir Walter Scott. Skinner is pleased to offer a selection of signed first editions by important literary figures, including the beat poets Alan Ginsberg, William S. Borroughs, Jack Kerouac, and John Clellon Holmes. A first edition of Julia Child’s Mastering the Art of French Cooking (Lot 101, Estimate $1,000 to $1,200), signed by both Simone Beck and Julia Child, contains an inscription to her long-time friend, editor, and pen pal, Avis DeVoto. 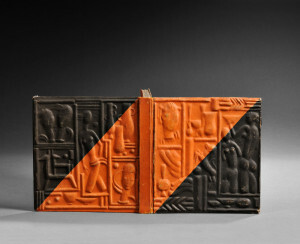 A striking orange and black papier-mâché bound book (Lot 118, Estimate $2,000 to $2,500) contains a catalog of works by artists, including Gustav Klimt, from the Wiener Werkstätte design group in Vienna, and a unique set of two volumes includes original gouache illustrations for the Waverly Novels by Sir Walter Scott (Lot 279, Estimate $1,000 to $1,500). Neo-Latin poetry, 17th and 18th century books on falconry and ancient Roman ruins, and books from the small press movement provide a range of opportunities for collectors. For those interested in the sciences and the natural world, the auction contains a large number of prints by John James Audubon from the Havell edition of The Birds of America, including the Green Heron (Lot 337, Estimate $30,000 to $40,000) and the White Ibis (Lot 351, Estimate $6,000 to $8,000). Birds of prey are represented by the Labrador Falcon, Le Petit Caporal, and the Sharp-shinned Hawk. 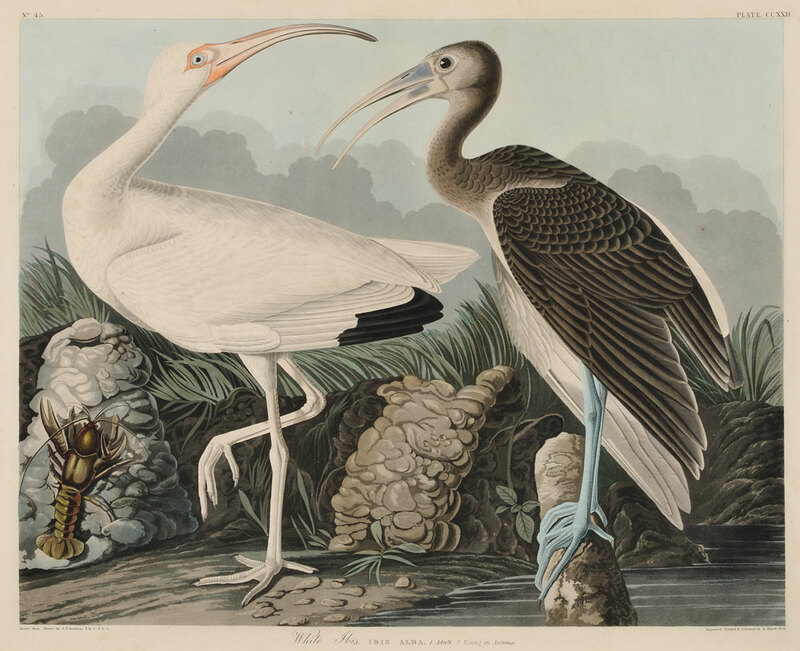 Bird illustrations by John Gould are also featured, along with works from Audubon’s The Quadrupeds of North America. A map of England from 1586 by Christopher Saxton (Lot 388, Estimate $4,000 to $6,000) highlights the antique maps section, which also contains a number of maps of North America. Previews will be held on Thursday, May 29, from noon to 5 P.M., Friday, May 30, from noon to 7 P.M., and Saturday, May 31, from 9 to 10:30 A.M. Illustrated catalogs are available from the Subscription Department, at 508-970-3240, or from the Gallery. Prices realized will be available online at www.skinnerinc.com both during and after the sale. The Skinner website enables users to view every lot in the auction, leave bids, order catalogs and bid live, in real-time, through SkinnerLive! This entry was posted in News and tagged Amelia Earhart, American documents, american history, antique maps, Arthur Conan Doyle, audubon, Birds of America, books auction, boston auction, declaration of independence, Devon Gray, Havell, John James Audubon, Julia Child, Lee Harvey Oswald, literary history, natural history prints, presidential documents, rare books, rare manuscripts, Rockwell Kent, Sir Walter Scott, Thomas Jefferson by Skinner. Bookmark the permalink.